Polydopamine (PDA)-coated magnetic nanoparticles functionalized with mono-6-thio-β-cyclodextrin (SH-βCD) were obtained and characterized by transmission electron microscopy (TEM), Fourier transform infrared spectroscopy (FT-IR), X-ray photoelectron spectroscopy (XPS), Nuclear and Magnetic Resonance Imaging (NMR and MRI), and doxorubicin (DOXO)-loading experiments. The liver cancer cellular internalization of DOXO-loaded nanoparticles was investigated by confocal imaging microscopy. Synthesized nanomaterials bearing a chemotherapeutic drug and a layer of polydopamine capable of absorbing near-infrared light show high performance in the combined chemo- and photothermal therapy (CT-PTT) of liver cancer due to the synergistic effect of both modalities as demonstrated in vitro. Moreover, our material exhibits improved T2 contrast properties, which have been verified using Carr-Purcell-Meiboom-Gill pulse sequence and MRI Spin-Echo imaging of the nanoparticles dispersed in the agarose gel phantoms. 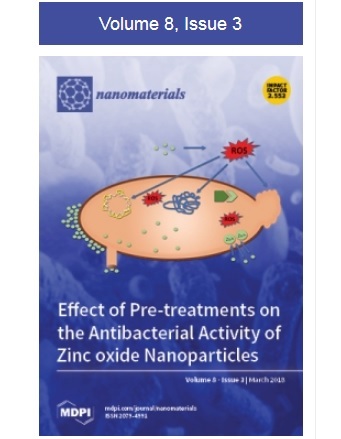 Therefore, the presented results cast new light on the preparation of polydopamine-based magnetic theranostic nanomaterials, as well as on the proper methodology for investigation of magnetic nanoparticles in high field MRI experiments. The prepared material is a robust theranostic nanoasystem with great potential in nanomedicine.